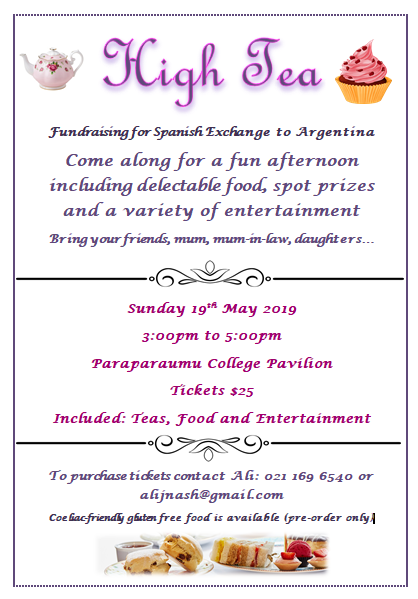 Come along for an afternoon of entertainment and a delicious high tea in support of the Spanish Exchange to Argentina. Just after Mother’s Day, it’s a perfect gift to give Mum or Grandma. 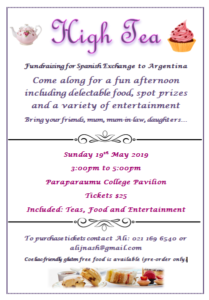 Sunday 19 May, 3:00 – 5:00pm in the College Pavilion. Tickets $25 – include teas, food and entertainment.